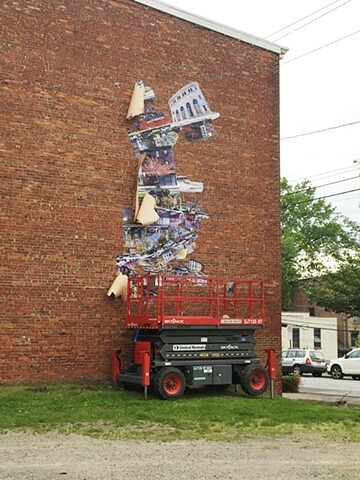 "Surveying Liberty" was installed at the corner of Broadway and Liberty Street, the center point of the embattled city of Newburgh, NY. 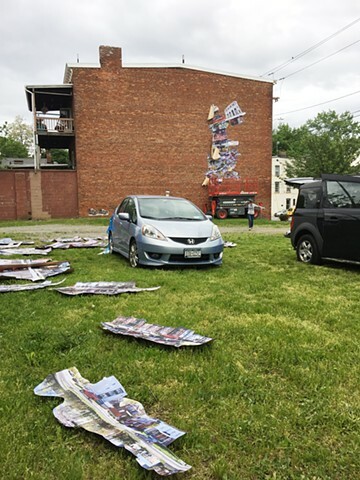 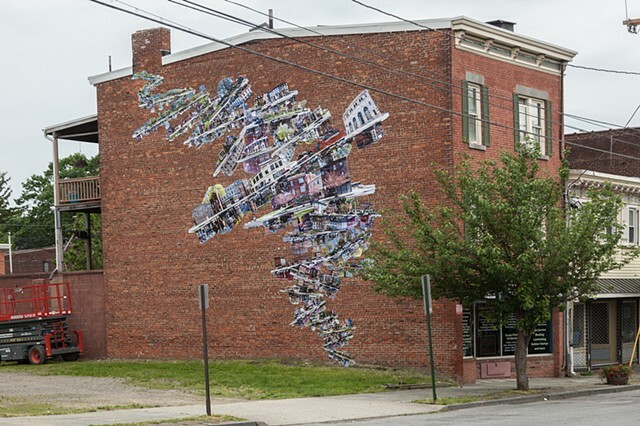 In depicting the entire length of Liberty Street, the work celebrates Newburgh’s history and architecture while raising questions about its changing urban landscape. 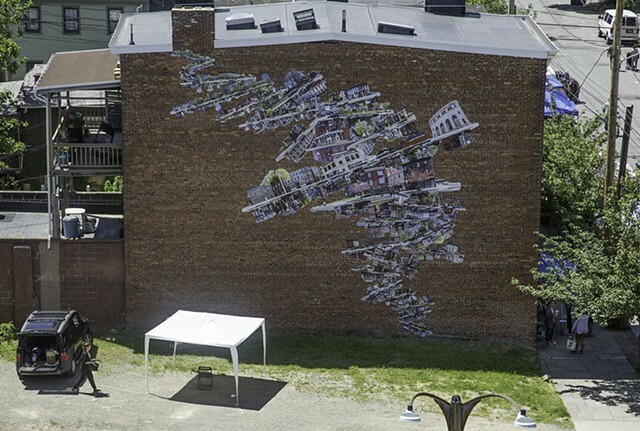 Every building is accounted for, creating and an indexical map of the city’s longest and oldest street.